It was great to catch up with so many of you at the Taste of Tasmania. We can also confirm that we’ll be attending Festivale in Launceston from 2 February to 4 February 2018! This year, we’re located in Stall 91 – around the Rotunda. With a brand new layout this year for Festivale, it is looking like a great event – come along, say “hi” and take the opportunity to drop in and see us and taste our wines (including our new 2014 Estate Pinot Noir)! Taste of Tasmania – We’re There! For the 28th straight year we will be at Taste of Tasmania (28 December 2017 to 3 January 2018)! This year you will find us inside the main Princes Wharf Shed – Stall 16. We’re towards the river (eastern or far) end of the Shed, on a corner on the water side – the same site as last year. Take the opportunity to drop in and see us and of course taste our wines. It’s been a little while, so we are pleased to announce the release two new wines! Firstly, our limited release 2017 Schönburger. Schönburger is an extremely rare German grape and can best be described as a mix of both Gewürztraminer and Riesling flavours. 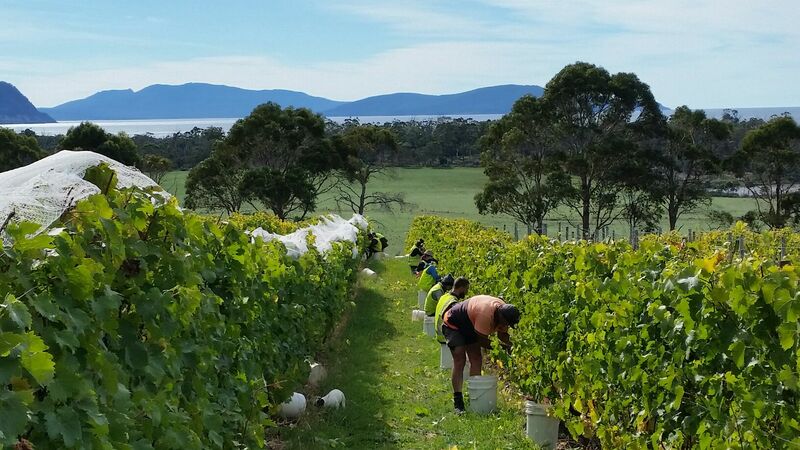 It was bred for the cooler northern European regions- making in perfect for Tasmania. This wine has a complex nose of fresh melon, rose petal, lychee and honeysuckle, while the palate is luscious, with melon, guava, white stone fruit and brown pear flavours. It is ideal with sushi, shellfish or Asian style cuisine. Our Schonburger yield was quite low in vintage 2017 so stocks are extremely limited. Secondly, our 2017 Pinot Rosé which is perfectly suited to the onset of warmer weather and the coming summer. Inspired by the Provence rosé wines of southern France, this easy drinking style of wine has delicious flavours of red currants, strawberries and cranberries, finishing crisp and dry. Best served chilled, it is ideal for informal entertaining and would suit a wide range of foods, such as barbequed Tasmanian seafood. Both wines can be purchased via our secure online shop.